Trent Alexander-Arnold made his Liverpool return towards the end of the comfortable victory over Bournemouth this afternoon, replacing the exceptional Gini Wijnaldum after 77 minutes. Having a proper right-back back available, rather than having to rely on auxiliary options like James Milner and Jordan Henderson, who have both deputised in his absence, is a timely boost. 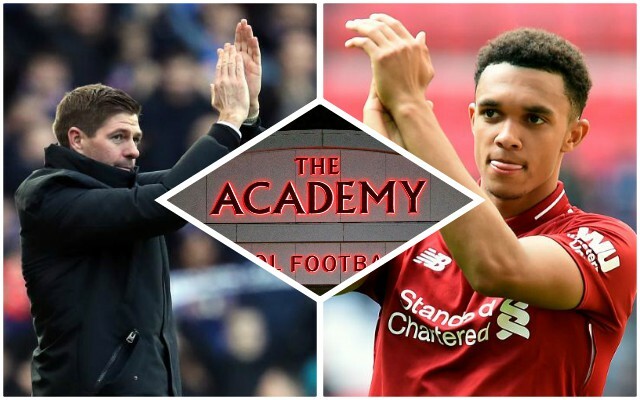 As he appeared off the bench, Trent overtook Stephen Warnock as the man to have made the most appearances for the club since Steven Gerrard made his senior debut, of those players who have been trained entirely at the club’s academy. Comes on as sub and that's @trentaa98's 68th game for Liverpool's first-team. Replaces @StephenWarnock3 as the all-Academy trained graduate to have made most first-team appearances for the Reds since Gerrard broke through. There is no doubt – injury permitting – that Trent will be a Red for a long time to come, so the figure could well be hundreds by the time he finishes. Gerrard made over 700 appearances, so he still has some way to go to match that. The right-back will be crucial in the coming weeks and months, so to see him come back from injury was great. He seemed happy with his return as well after the game. It’s fantastic that a local lad can be a part of the side as we compete for the title – he understands exactly how much we all want to win it.